December’s Nintendo direct covered some pretty unexpected news. One of them being Princess Rosalina from the Mario Galaxy series being confirmed for the upcoming Super Smash Bros. for Wii U/3DS! 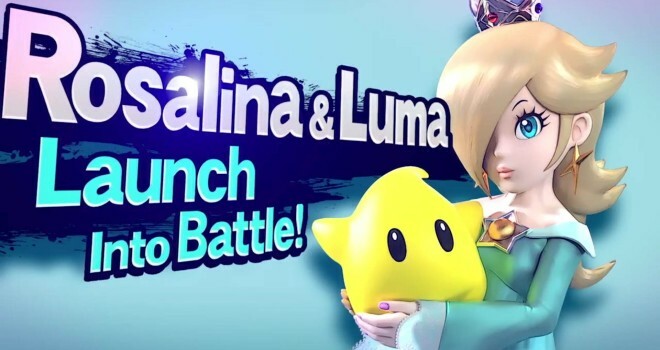 And with this announcement also came a pretty awesome looking cinematic Trailer revealing her arrival to the series, along with a bit of gameplay footage of her in action which you can view on her bio on the official Smash Bros. website. Many screenshots of her are also available. As much as I like Rosalina as a character, personally I think that we already have enough representation of the Mario franchise as it is, and assuming they bring back Wario & Yoshi, this would make a total of 7 characters from the Mario series. while most other franchises have about 1-3 characters to represent their series. So what do you guys think? Are you excited about her arrival? Too many Mario character? Do you think she looks over powered? Let us know your opinion in the comments!